HOUSTON, September 15, 2016 /3BL Media/ - The National Diversity Council, along with Texas Diversity Magazine, is proud to announce the 2016 Most Powerful Businesswomen award winners. This year, when a woman has risen to the very top of a major political party for the first time in this nation’s history, there is no time better than now to recognize the unbelievable achievements women have made in the business sphere. These women have raised bars, broken barriers and inspired their peers – both female and male – to face all challenges head on and conquer their goals. Selection for this distinction was based on each individual’s contributions to business growth and strategic direction, proven record of accomplishments in their area of expertise, and their ability to serve as an effective role model who inspires other women and is active in mentoring the next generation of female professionals. Each awardee stands atop their field in several industries such as health care, law, technology, retail and oil & gas. The wide range of industries represented in this group of distinguished businesswomen speaks to the long strived for ascendancy of women in the workplace. 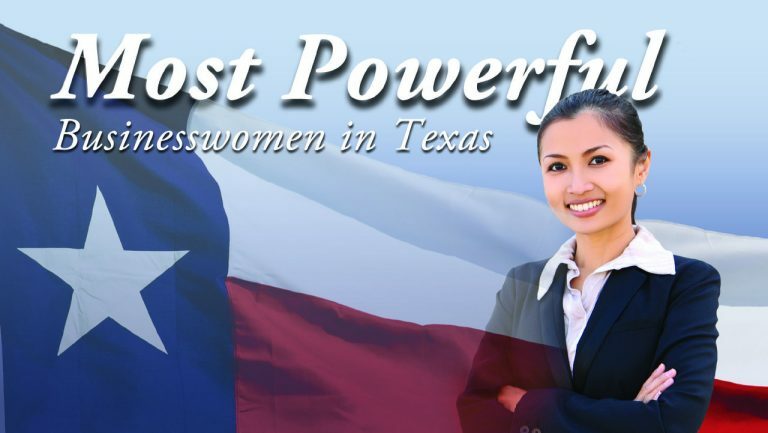 To find more information on the honorees along with their thoughts on the essence of leadership, please visit our website at www.texasdiversitymagazine.org/2016mostpowerful.